As part of the Supercrafted initiative, In The Frame explores ways in which craft practitioners can use the Internet to better communicate with audiences. Why are we undertaking it? The artists statement, traditionally in written format is displayed alongside the work. Through use of video and digital technologies, such as QR codes, this statement can potentially be made more accessible and in a format that may be more personal boith to the artist and the audience. 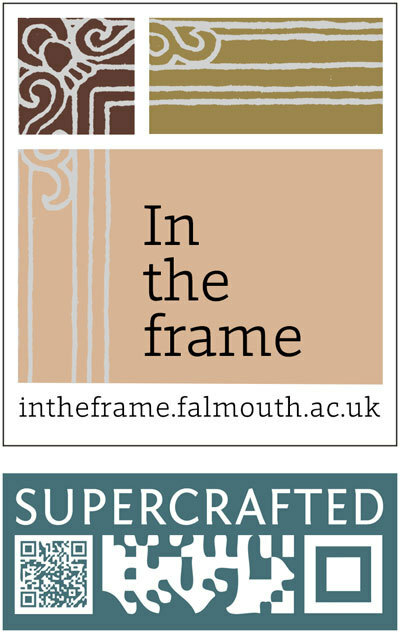 Practitioners work will be documented online at www.intheframe.falmouth.ac.uk and a series of QR codes will be generated and etched onto wooden cards to display alongside work. Through digital media we might redefine the traditional artist statement. When is the project taking place? Falmouth University are partnering with Detroit Institute of Music Education (DIME) to deliver a selection of purely online music degrees. DIME’s Degree courses are for musicians and entrepreneurs who wish to excel and maximize their ability within their chosen field, and to do so on their own terms. ET will be using Canvas by Instructure, a new cloud based Learning Management System. Canvas will allow DIME students to interact with their environment in a range of multimedia, key for musicians. ET understand that online education is on the increase and further our knowledge within this field, including online environments such as Canvas, will allow us to explore new technologies and pedagogical approaches. A selection of purely online courses delivered for the Academic year 2014/15, using the Canvas environment. ET will explore how Canvas can improve engagement, widen our pedagogical approaches here at Falmouth University. 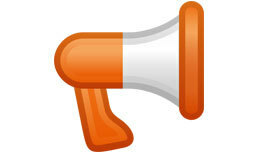 You can visit DIME for more information or feel free to contact etsupport@falmouth.ac.uk if you have any questions. Working with BA Sustainable Product Design, BA Photography, MA Creative Education and the School of Writing and Journalism we are exploring an alternative method of collecting module feedback at the end of a taught semester. Historically the process of modular feedback has been collected via paper based means. This has often made it difficult to summarise a collective response from a cohort and compare scorings. BA Sustainable Product Design, BA Photography, MA Creative Education and the School of Writing and Journalism. By introducing an additional plugin into the institutional learning environment (Learning Space) we are able to collate anonymous feedback from students at the end of the module. This feedback can then be reviewed by course teams after the module has ended to inform delivery of subsequent modules within the course. Throughout the coming months we will be working with course teams to reflect on the introduction of digital modular feedback through Learning Space and if this has had an impact on modular delivery in these areas. Email amy.sampson@falmouth.ac.uk to find out more detail about the project. Anyone wishing to be part of this trial is encouraged to get in touch with the Educational Technology team who can help with implementing this method of feedback collection.